Simplicity is among the greatest advantages of mutual funds, with exception of taxation. But if you know some of the tax rules and tactical tricks of investing in mutual funds, you can fully enjoy the advantages and worry yourself less about the complexities. Mutual funds are not the same as other investment securities, such as stocks, because they are single portfolios, called pooled investments, that hold dozens or hundreds of other securities. Therefore the taxable activity that takes place as part of the mutual fund management passes along tax liability to you, the mutual fund investor. For example, if a stock holding in your mutual fund pays dividends, then the fund manager later sells the stock at a higher value than he or she paid for it, you'll owe tax on two levels: 1) A dividend tax, which generally taxed as income, and 2) A capital gains tax, which will be taxed at capital gains rates. And even if you've only held the mutual fund for a few months and have not sold any shares, it is possible that you could receive a long-term capital gain distribution (assuming the mutual fund held the stock for more than a year). Therefore the taxes distributed to you are due to the activities within the mutual fund, not due to your own investing activities. Now assume five years have passed and you sell your mutual fund. And let's also assume that your original investment was $10,000 worth of shares in the mutual fund and it had paid $400 in dividends per year for five years. To be a prudent long-term investor, you elected to have all dividends reinvested in more shares of your mutual fund. You did a pretty good job selecting your mutual fund and its share price appreciation, including dividend reinvestment, gives you a final value of $15,000 when you go to sell your mutual fund. Since you bought the fund at $10,000 and you sold it at $15,000, you will pay tax on $5,000 in capital gains, right? If you are like millions of other investors who make the same mistake, yes you would pay tax on the $5,000 in "gains." But that would be too much! Why is this, you ask? Remember, your original investment was $10,000 but you also invested (or rather re-invested) $2,000 in dividends. Therefore your basis is $12,000 and your taxable gain is $3,000, not $5,000. Can you see how the common tax mistake can so easily occur? The example here is simplified and does not account for compounding interest but the lesson remains the same: Most investors think the amount they invested into the mutual fund out their own pocket is their original investment amount or "basis" for tax reporting, but the IRS says all reinvested dividend and capital gain distributions count as “investments,” too. 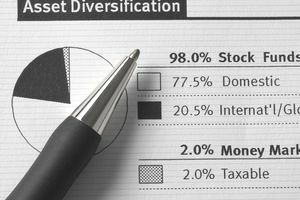 You can avoid making the same mistake by simply keeping all of your mutual-fund statements and paying attention to all amounts invested and, more importantly, the amounts "reinvested." You may also refer to IRS Publication 550. Even better, keep your statements and pass them along to your tax professional while you go about your life. The information on this site is provided for discussion purposes only, and should not be misconstrued as tax advice or investment advice. Under no circumstances does this information represent a recommendation to buy or sell securities.